Facebook’s F8 developer conference is in full swing right now, and the CEO Mark Zuckerberg has announced new stuff. The social media giant is now bringing a platform for developers that will allow them to build new features into in-app cameras, dubbed as Camera Effects Platform. Zuckerberg calls it a step towards bringing augmented reality into the mainstream that will, in turn, benefit Facebook. Today, a closed beta opens for developers that will let them experiment with photo and video filters, games, art projects, and more. Zuckerberg also played a demonstration video that showed various blingy camera effects. He also said that Stories feature that was launched by Facebook last month would soon have thousands of augmented reality effects. 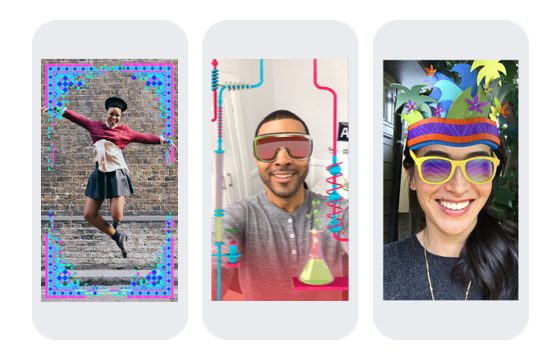 These effects won’t just be limited to art frames and face filters, but also feature three-dimensional (3D) text and images. In a demo picture of 3D effect, Zuckerberg showed the text – “It’s feeding time” with sharks circling the cereal bowl. Zuckerberg also demonstrated Facebook’s camera that turns a 2D picture into 3D. Exclaiming in excitement, he said – “Because the future is delicious,” The camera feature will also boast object recognition that will suggest effects based on its object study. For example – if you’re taking a shot of a hot beverage then you will find the option to add steam animation or sticker to it. Let’s not forget that the creator of these filters is Snapchat and Facebook just seems to be hopping on the caravan. The social media giant spent a substantial amount of time to integrate such features into its platform. At the conference, Zuckerberg also accepted that Facebook has been late to take advantage Augmented Reality. However, he expects to make up for the loss through Facebook’s pioneer object recognition and machine learning technology. “Even though we were a little slow to add cameras to all our apps, I’m confident that now we’re going to push this augmented reality camera forward,” he said. Besides, Zuckerberg also addressed issues with Facebook Live feature that recently got into the controversy with live streaming of murder. The incident alarmed many about the unlawful use of the feature and how Facebook is not able to handle it. Acknowledging the issue, Zuckerberg said that Facebook has “a lot of work” to do. 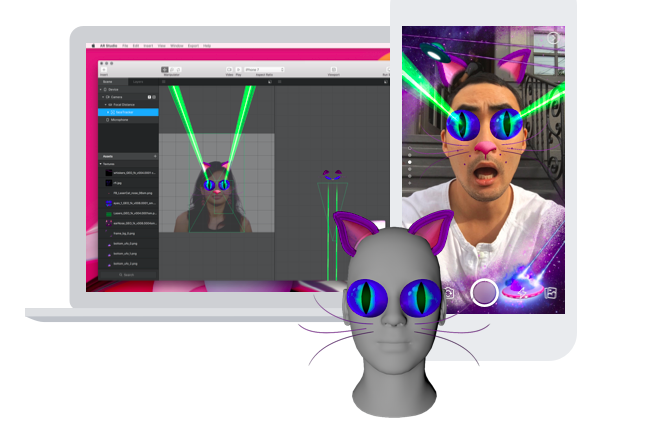 You can check out all the offerings by Facebook’s Camera Effects Platform here.